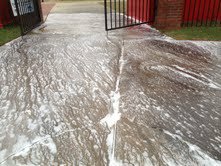 WashRite Services was featured in Cleaner Times, a worldwide publication for high pressure cleaning applications, in an article describing the evolution and challenges of stadium cleaning. 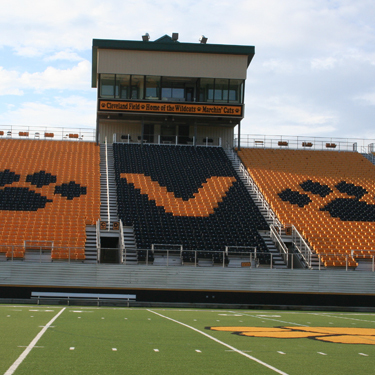 We return your stadium or venue to a “like” new condition just as detailing your car does or washing your home or cleaning your driveway. 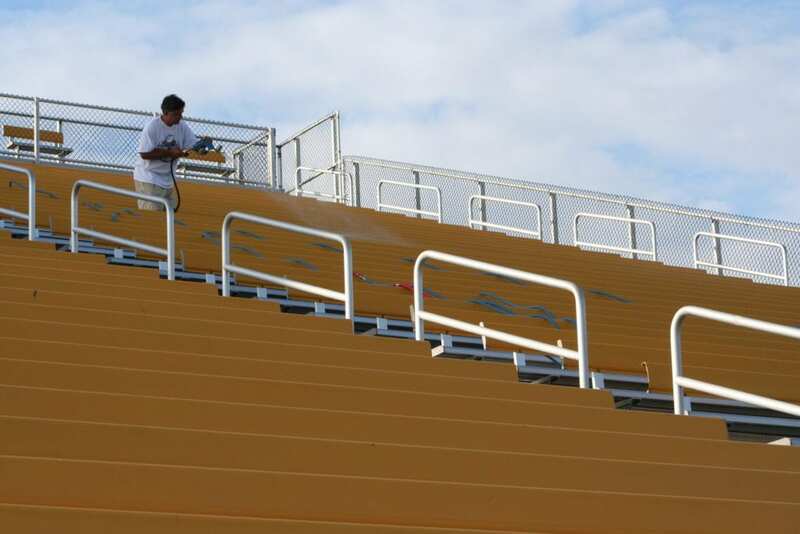 No stadium is too big or small – we have state-of-the-art pressure washing equipment and expertise to maintain immaculate, eye-pleasing stadiums. Keeping stadiums free of gum, food and beverage spills, bird droppings, and other contaminants and debris is critical to maintaining a professional and inviting venue. Our innovative cleaning techniques deliver unmatched results and reduce time on the job ultimately saving property owners money. 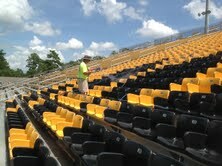 WashRite has been cleaning stadiums for 8+ years so you can be assured we will do the job correctly. Our goal is to build lasting relationships and our results are 100% guaranteed – you don’t pay until the job is completed and you are satisfied. 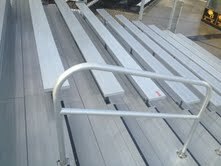 WashRite Services has cleaned single section aluminum bleachers at local Parks & Recreations to high school and college baseball and softball venues to 10,000+ seating football stadiums. You are going to make a first impression - let WashRite Services help you make it a GOOD first impression! 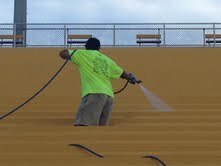 If you are located in South Georgia or North Florida and require stadium, bleacher cleaning or any venue cleaning, then call us today for a free estimate, we will be glad to take your call! 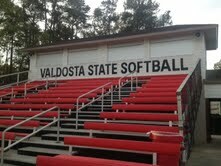 Service Valdosta, Tifton, Thomasville, Douglas, Moultrie, Albany, Homerville, Tallahassee, Adel, Brunswick, Waycross and all surrounding areas of Georgia & Florida.